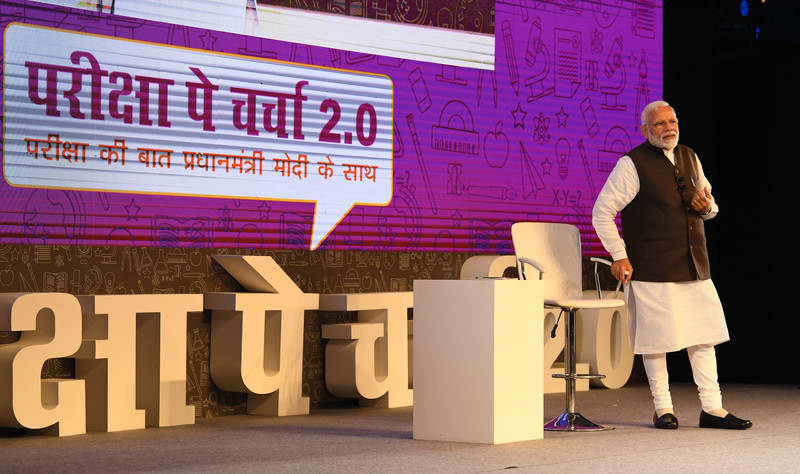 The Prime Minister, Shri Narendra Modi, today, interacted with students, teachers and parents, as part of Pariksha Pe Charcha 2.0 at Talkatora Stadium, New Delhi. 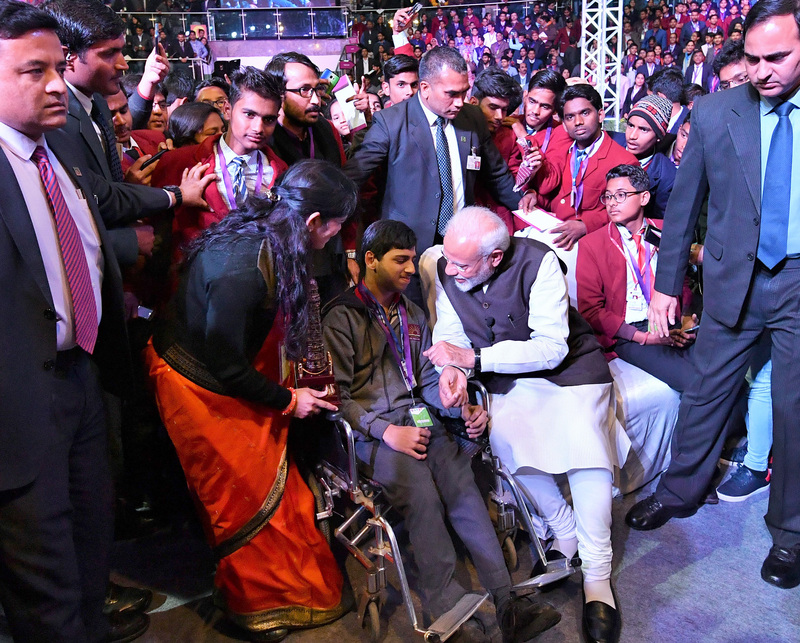 The interaction, which lasted for over ninety minutes, saw students, teachers and parents relax, laugh, and repeatedly applaud the Prime Minister’s observations, which included a touch of humour and wit. He said that a person does not get depressed all of a sudden. There are signs that show a person is heading into depression. Ignoring these signs is not a good idea. On the contrary, we must talk about this, the Prime Minister said. He said that counselling can be helpful because it helps one talk about one’s problems. But, ask yourselves if this an exam of your life or is it just an exam for a particular grade like Class X or XII? 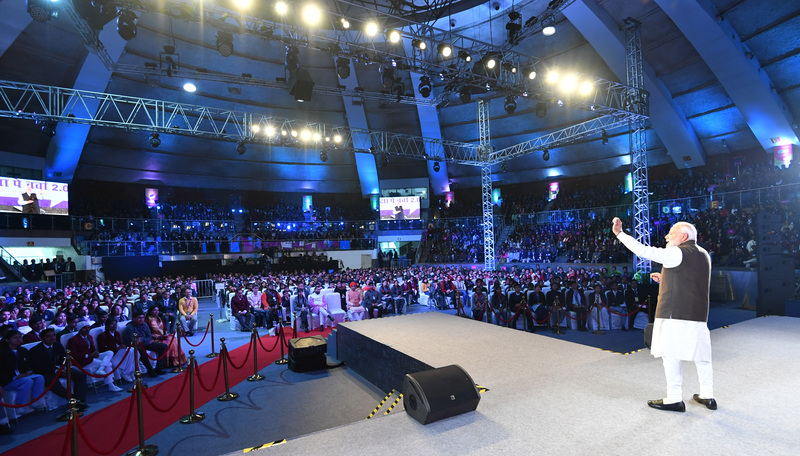 I would request parents- do not expect your children to fulfil your unfulfilled dreams. Expectations are essential....we can't be living in an atmosphere of despair and unhappiness. I will not say exposure to technology is a bad thing for students. Clarity of thought and conviction are essential. In a nation like ours, the subject of depression is very worrying. Our culture has mechanisms to cope with this. The more we talk openly about aspects relating to depression and mental health, it is better. A person does not always get depressed all of a sudden. There are signs that show a person is heading into depression. Counselling is not bad thing.